We Make 30k A Year Passively From Selling Stuff on Social Media! Yes you read the subject line right... and I'm proud because we are talking about our dropshipping business! To kick off your day, this service is the very same strategy me & my wife used to promote our two stores (we have 2 companies in 2 different countries BG & MK) and we are also dropshipping worldwide. Basically what we did is we grew a lot of Social Media properties with loyal audience over the years, posted photos that are engaging and that would make our followers tag and share with their friends... then we turned them into clients! The very same Social Media properties are now packaged in this simple, cheap but effective service to help you grow faster and achieve your goals! We will build 50 AUTHORITY ORGANIC SHOUTOUTS from the Top Social Networks, that also act as DA / PA 100 Social Signal (OR PR9 IF YOU ARE AN OLD SCHOOL PERSON). The best thing about this is that you will get those shoutouts from SOURCES WITH ESTABLISHED AUDIENCE with ZERO FOOTPRINTS that will also PROMOTE your website and bring TONS OF TRAFFIC. 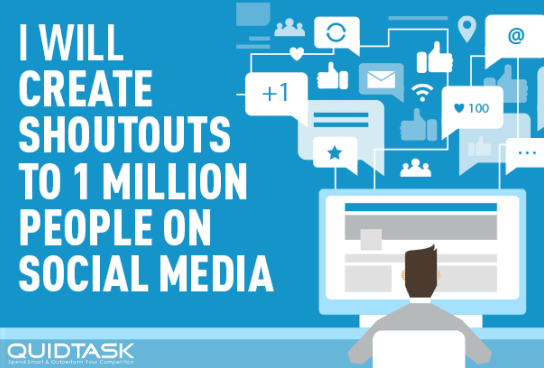 50 TRUSTED SHOUTOUTS are MORE than 1000 Fake Untrusted Spam Shoutouts. The report we use is designed for the SEOClerks delivery system and available online inside the order. It contains direct links for the first 19 Instant Shoutout posts and for the remaining 31 shoutouts, we include links of the social profiles/websites that created the shoutout, you can find the posts there by scrolling and looking at the posts created on the delivery date. For resellers, we also have additional high quality & detailed Excel reports. If you are outsourcing, we recommend the PRO report that is available as an extra. 50 Organic Shoutouts to 500,000 Real People the most Effective Social Promotion for your website to boost your Traffic, SEO, SERP and Rank is ranked 5 out of 5. Based on 823 user reviews.